Rap was created to showcase people’s talent in rhyming or “MCing”. Since the 1970s, rap has progressed and has brought along many iconic songs over the years. Throughout the years there have been many famous rappers such as Tupac and Drake, but there aren’t many recognizable female rappers. Two names that probably pop up in your head when thinking about female rappers are Nicki Minaj and Cardi B, but that’s about it. There is much more to female rappers than just Nicki and Cardi, such as Lauryn Hill, Foxy Brown, and Missy Elliot. In this article I will be discussing the origins of female rappers and how they don’t get the recognition that they deserve. It is very obvious that there are more popular male rappers than female rappers. One of the reasons to this is because hip hop fans are predominantly male. Most of these male rappers talk about things dealing with women. This gives female rappers fewer options to rap about to their fans. So, what will they talk about? Cool cars? Well, no. These female rappers rap about their physical features to please their fans. I for one, think that this isn’t fair. I turn on the radio to listen to rap, and all I hear are the same things being said to a different beat. Female rappers should be allowed to rap about more than just their bodies. For example: Queen Latifah made a song called “Unity” were she talks about her abusive relationship. If female rappers were to start rapping about more important things, unfortunately, their fans wouldn’t care. Not to say that male rappers are any better at creating lyrics, they are just given more options. The first popular female rapper was MC. Lyte also known as Lana Michelle Moor. MC. Lyte had started to gain fame in the late 1980s with her solo album “Lyte as a Rock”. One thing that set Lyte apart from other female rappers was her flow and lyrical precision. She shaped the world of female rapping as we know today. Another upcoming female rapper at the time was Dana Elaine Owens, professionally known as Queen Latifah. She released her first debut album in 1989 with Tommy Boy Records called “All Hail the Queen”. 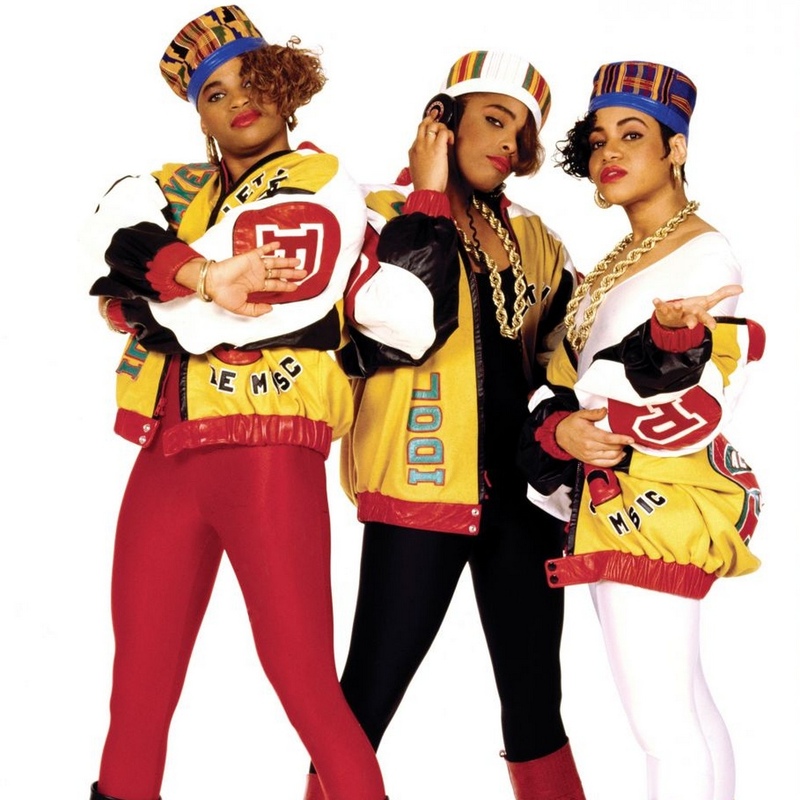 The duo “Salt-N-Pepa” also made a huge impact on rap culture. Cheryl James and Sandra Denton got together in 1985. Popular songs such as “The Show Stoppers” and “Do you really want me” made the duo famous. They were very outspoken about their desires while still demanding respect and talking about important topics such as feminist values and speaking out against discrimination and assault. Later in the 2000s, a familiar star releases her first debut mix tape “Playtime is Over” by Nicki Minaj. Today, female rappers are lacking in the music industry, but are slowly making a comeback like as Cardi B.